You probably used pirated software in the past. Maybe you still do. It's the baseline of the internet era: if you want a piece of software, it's likely you can find a free copy on torrent sites. I started editing videos with cracked copies of Ulead Video Studio. Then I used Pinnacle. So we all do it. Now, leaving aside that fact that this is a form of stealing, the most important matter for you is that you may lack the sense of urgency and responsibility once you get your free software. If it's free, it almost has no value for you. Since it has no value, you're not incentivised to use it as often. This is about scarcity and how something that is hard to get makes us want it more. I found this to be true for myself - once I bought my editing software, I took my work as a videographer more serious. I spent money, hence I was invested into this kind of work - the end result: I was more productive and I did better videos. I can get virtually any software for free if I want. You can get it too. They're all a few clicks away but that's not the point. The point is that companies are actively working to stop piracy and the current state of the web is already enabling them to do that. Sure, you can get cracked copies on torrents but it seems this won't go on forever because companies are moving their software in the cloud. There's this investment site called Fool.com and they also feature software companies in their stock analysis. This cloud thing is quite big now because there is money to be made there (people don't have any alternative than to pay for cloud based software). If you try to edit HD files at a high bitrate you'll immediately notice the limits of your hardware. You can't edit smoothly with a poor computer these days when even a phone can output high bitrate footage. Same goes for software - instead of downloading and installing a product onto your computer, you simply access it online with a paid subscription or pay-as-you-go. Software as a service (SaaS) is what's gonna end the piracy not to mention that it will create a web culture where intellectual property must be paid for before using it. In other words they'll offer an elegant alternative to using original software without stealing. All with the perks of customer service, official forums with content and add-ons, etc. That's what Apple made with iTunes and the AppStore - they started offering content and software (apps) at very low prices ($0.99 per song or a few bucks for an app) so everyone could afford it. Before they knew it, they revolutionized the music industry. The software industry is headed that way as well. Adobe, which makes the best professional video editing software, is already doing something like this with the Creative Cloud subscription service. The processing power is not online (yet) but this will soon follow. 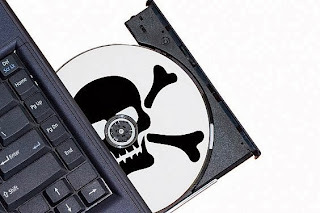 Accessing software online instead of owning it is the barrier against piracy that companies will focus on in the future. This may also create a barrier for the creatives who are less fortunate and won't be able to buy the service but, to be honest, I believe that's not entirely true because most SaaS are affordable for almost everyone. But let's see the bright side - you'll be in line with the good guys, creating awesome video content with top notch software. See you there in 2014 and beyond. Piracy will not be stopped. There are perfect pirated versions of Adobe CC that block the license check. I'm not condoning this but software pirates are generally 10000x as intelligent and even more steps ahead than anyone Adobe hires. Most top hackers end up working great jobs with the CIA, FBI, or Microsoft. You're right about that. :-) However, for the average consumer the cloud will be a hurdle to hack.